I’m writing to you in English hoping that you might react to this message faster than the Arabic message! In an unprecedented conditions, the eastern bank of Mosul is now liberated and free. The outcomes were outstanding by all measures. Our main concern of any violations committed by the military forces has diminished entirely when the Golden Brigade behaved in a highly humane and brave manner. The residents celebrated with the military the victory of clean and great battle, where the finest of Iraq’s youth, both civilians and soldiers, were sacrificed in this war. Two and a half years where the city was dying under ISIL’s control, and the moment the military forces entered the city, all fear, tiredness and horror the Mosulis lived was gone. 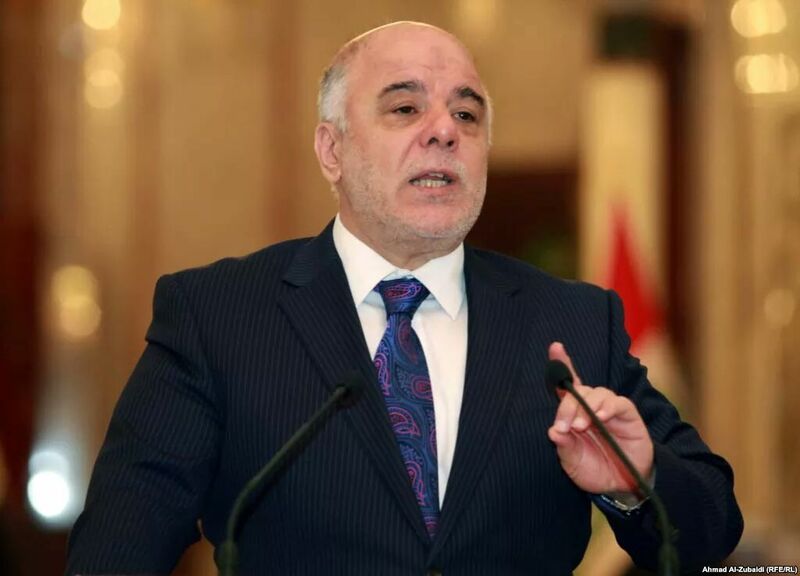 We understand that there are many major difficulties to rebuild the city, and this require logistics, planning, and time to implement them, but Mr. Abadi, the reports we report every day about violations committed by entities considered part of the Iraqi State, has no goal but to ruin this victory that was made at the cost of the iraqi blood and tears. How would you allow such a deformation to steal our joy of victory from us? Many check points at the eastern bank and many areas people are getting humiliated, and large numbers of families decided to leave the city fearing uncertainty, possible violations, houses were robbed, young men being humiliated stupidly by members of the military forces in Mosul. All of this and the operations to liberate the western bank has not yet started! No proper security checking, no clear system to track down ISIL members and punish them! The residents on the eastern bank see ISIL members wondering freely in the liberated areas! Many times the residents report them to the security forces, but in a couple of days, they are released! We are receiving many reports that a huge corruption is undergoing now and many ISIL members’ names have been erased from the databases in exchange for huge sums of money! In your opinion Mr. Abadi, who is after all this? And why do you allow them to steal our victory? I urge you to review what is happening in Mosul now and to take an action, taking into account the current circumstances that has become very dire and critical. We all stand with you in this battle l, but also, we would like to remind you that the Mosulis gaining trust in the military forces occurred miraculously, and we cannot afford to lose it again. Sad to here things happening that are not good for the people of Mosul. In fact at the end these things (violence etc.) are not good for entire Iraq. Let’s hope the government understands this and will bring about change quickly when otherwise there’s a risk for Iraq to lose control on this city once more again.